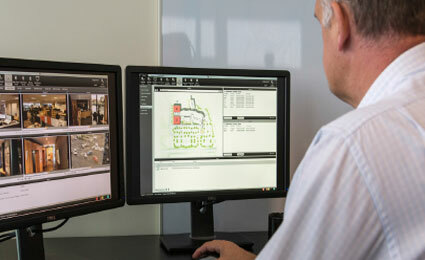 Gallagher, a global perimeter security and access control supplier, will showcase its latest technology at the ASIAL – Australian Security Industry Association Ltd – Security Exhibition and Conference, 4 to 6 June 2014 at the Melbourne Convention and Exhibition Centre, Australia. New releases include the latest version of Gallagher’s security software, Command Centre, and the latest developments in their integrated access control technology. Gallagher Command Centre v.7.20 allows security staff to manage risk and execute business policy; combining physical enforcement with electronic monitoring and reporting of critical workforce management processes. The system incorporates enhanced reporting functionality and user interface advancements; simplifying daily security management. Gallagher’s latest developments in their intelligent access control system include the introduction of competency displays for the T20 Card+PIN Reader. These competencies enable enhanced health and safety management and improved enforcement of onsite and regulatory requirements. Competency displays are available in 8 different languages including English, French, Spanish, German, Dutch, Simplified Chinese, Traditional Chinese, Arabic, and Thai. The T20 Card+PIN Reader will now run on Gallagher’s HBUS communications protocol – supporting high-level encryption and high-speed communications. This release follows the introduction of new perimeter technology Gallagher’s K20 Tensioner Link System and Z10 Tension Sensor. Both products were released October 2013.